Archeological evidence indicates humans lived in the area of the park for several thousand years. The Caddoans were over two dozen tribes loosely joined into three con­fed­er­acies: Hasinai, Kado­hada­cho and Natchi­toches. The Hasinais inhabited the region of the middle and upper Neches and upper Angelina river valleys. The Neches River’s name comes from the Neches, one of the Caddoan tribes. Expert craftsmen, the Caddo made beau­ti­ful pottery from East Texas clay and often wove baskets and reed mats. Hand­made musical instruments have been found, including drums and flutes. Caddoans grew crops such as corn, squash, beans and tobacco. 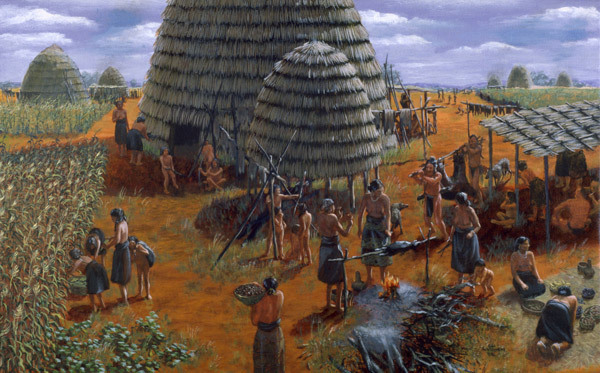 They stored grain for times of drought in the pots and baskets that they crafted. Game such as deer, rabbit, bear, javelina and fox sup­ple­mented what they grew. The woods also provided them with wild fruits, nuts and honey. The Caddoans continued to live in the Neches and Angelina river valleys into the 1830s, when they were forced out of Texas into Oklahoma. The first Anglo settlers moved into the area in the early 1820s. They found the Neches waterway loaded with ducks, fish and other game wildlife such as deer, turkey and black bear. The wide variety of trees and shrubs in the area provided fruit and nuts for food. Their way of life changed little until the 1960s. In the mid-1800s, the Neches River was a major commercial artery for the region. Steam­boats opened up trade routes be­tween East Texas, Galveston and New Orleans. In 1882, the first railroad came to Tyler County. It competed with the steam­boats, and eventually put them out of busi­ness. The timber industry became big busi­ness in East Texas after the Civil War. 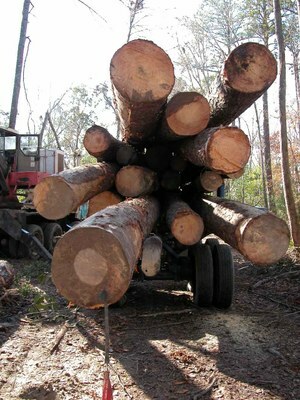 In 1907, Texas ranked third among the lumber-pro­ducing states. The lumberjack’s saw left its mark on the lands that would eventually become Martin Dies, Jr. State Park. Most of the forest is second generation growth. However, you may spot some old growth trees in the park. A privately-owned toll ferry along State Highway 45 crossed the Neches River. It was unreliable when water levels were high. On Feb. 12, 1943, the new Neches Bridge opened travel between Tyler and Jasper counties, and connected the land of the future Martin Dies Jr. State Park to U.S. Highway 190. Sept. 12, 1947, officials broke ground on the Dam B (Steinhagen Reservoir). This dam promised jobs, economic de­vel­op­ment, recreation, flood control and water conservation. In the 1960s, development of a new state park along the reservoir began, with support from local East Texans and their state senator, Martin Dies, Jr.
Martin Dies, Jr. State Park is a 705-acre recreation area nestled next to B.A. Steinhagen Reservoir between Woodville and Jasper. The park has three units in Jasper and Tyler counties. TPWD leased the park’s land from the U.S. Army Corps of Engineers in 1964, and officially opened it as Dam B State Park in 1965. Born and raised in East Texas, Martin Dies, Jr. spent many summers as a boy at his father’s farm near Bevilport in Jasper County. He rode horses through the forest and river bottoms on the future lands of the park. Dies graduated from Stephen F. Austin State University in 1942. When the United States entered World War II, he volunteered for the Navy. During the war, he served as an officer aboard the destroyer USS Richard Suessens. Dies saw combat in Leyte Gulf and Okinawa, where he received multiple commendations. After the war, he earned a law degree from Southern Methodist University and joined the family practice in Lufkin. Later, Dies served as a Texas state senator for eight years before becoming Secretary of State of Texas. In September of 1971, he became the Chief Justice of the Ninth Court of Appeals in Beaumont. He retired from the court in 1989. Throughout his years of public service, he worked to improve the state park system. The Texas Parks and Wildlife Commission honored him by renaming Dam B State Park to Martin Dies, Jr. State Park in 1965.